As of April 21, 2015 Google is now ranking mobile friendly websites higher than others. Listing Spy websites are mobile friendly and SEO optimized. Plus, our mobile friendly IDX search accommodates the more and more people who are doing property searches from mobile devices. We know that you are always looking for relevant items to post to your Facebook fan page and other social media outlets, so we’ve made it simple for you. Agent 3000 and Listing Spy offer a variety of ways information that can be quickly and easily shared to your social media accounts. Are you tired of trying to remember passwords for all of your different software solutions? Well, fear not! All of the tools in Agent 3000 and Listings Spy can be found in ONE location with ONE password. PLUS! It’s highly likely that they can replace many of the tools that you are currently using. We here at Direct Axess, LLC specialize in developing Real Estate Software that is EASY TO USE and CUSTOMER MINDED. We know how you work and what you need to be successful. We understand that time is money, so we’ve designed our tools to be simple but powerful! Easily set up a professional looking mobile friendly website that includes our premier IDX search. Add unlimited content, quick search links, featured listings, display market watch graphs, share testimonials and more. Keep track of who’s viewing properties and what they are looking at. You can also see their saved searches, saved listings and property notes. Create/import/export contacts. Organize contacts into groups, add and search notes and manage referrals. Create custom IDX searches for your customers to send them daily property updates. Generate mailing labels, create Newsletters and much more. Create unlimited custom landing pages that are used for the sole purpose of generating leads. Market them on social media and everywhere else. Do you need a flyer for a new listing or for an open house? We’ve got you covered! Quickly and easily create professional looking property flyers in less than 30 seconds. Impress your sellers with professional Single Property Websites that you can create with just one click of the mouse. Create email templates to use to email customers a professional looking email or use to send an email blast to a group of contacts. Create your own Memes with our custom Meme Generator (or use one of our our stock Memes) to quickly post to Facebook with a link to any Landing Page you want. Quickly and easily create a professionally formatted Craigs List ad for your property listing. Quickly generate statistical reports for production, absorption rate and agent ranking. Also create professional property detail reports. Quickly generate custom graphs for Days on Market, Listing Inventory, Sales Volume and Short Sales & Foreclosures. PLUS, these can be posted to social media with just a click of the mouse! Create lead generating QR codes for your listings to add to emails, business cards, social media, sign riders and other marketing materials. Easily create lead generating sign riders that can be added to your yard signs. Track all leads generated from your sign riders and QR codes. Easily add and view your past and current transactions. You can also create Commission Reports to keep track of all that you’ve accomplished. As well as quickly view listings that are about to expire. Add your open houses, customer birthdays, anniversaries, listing appointments, office meetings and much more. Easily add new events and update current plans in seconds. More than 6000 Satisfied Customers. Will You be next? Our work with Shawn Sommer aims to give the best possible technology tools to our members. He is an accomplished programmer who has also the ability of concept and design to make all of his products user friendly, which is a rare skill. He has worked closely with us over the past 5 years. Shawn Sommer is highly respected within our leadership and membership, his experience as a previous licensed Broker shows in development and implementation raising productivity and profitability levels of our members. What we appreciate most about working with Shawn, is his ability to deliver the expected results and then some. CHIEF EXECUTIVE OFFICER, REALTOR® ASSOCIATION OF GREATER FORT MYERS AND THE BEACH, INC. Agent 3000 is a great resource for agents to use and incorporate into their marketing as education to help potential home buyers and seller better understand what the market is really doing. ListingSpy, wow, that is phenomenal! I was paying over $250 a month for a website that didn't even have the ability to make landing pages or flyers. Great products thank you for not charging an arm and a leg for your website, it allows me to use the money I was spending on my other website and use those funds towards getting eyeballs on my ListingSpy website. 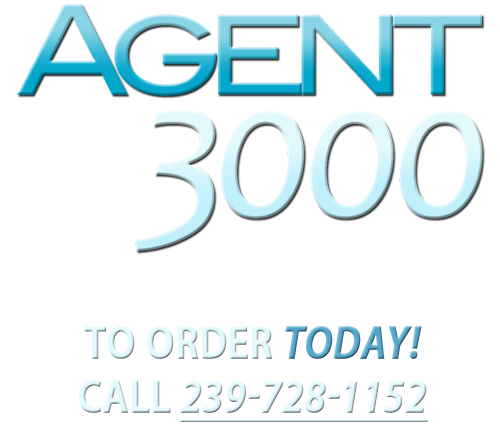 I would like to compliment you to the great new Agent Web Site in your Agent 3000. I am a Realtor since almost 20 years and over the years I have used (and am using) different web sites. The new Listing spy web site is the most user friendly web site I know and my customers and potential costumers seem to like it a lot. It is live now since 2 days and I had over 400 visitors already including a few "sign ups" for property searches. I love the flexibility of the site, you can easy update (or add) contents and pictures, add menu items and adjust the quick search links. Have not watched one of the (assumable) "how to" videos, was able to make all the additions in just "doing" it. Then start growing your business. Copyright 2019 Direct Axess, LLC. All Rights Reserved.